You love Turkish Ocakbasi grills but crave something beyond Doyum and Adana? 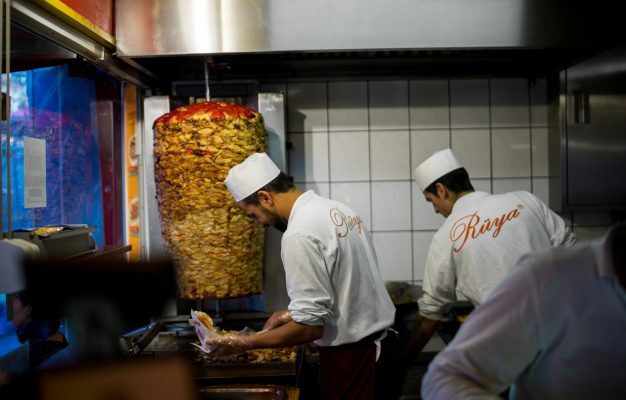 You’ve had one too many Döner kebabs at Imren and Rüya and just want something new? And you’re just irritated with the sketchy interior at Güllü Lahmacun? Then Fes BBQ might be the answer to your prayers. 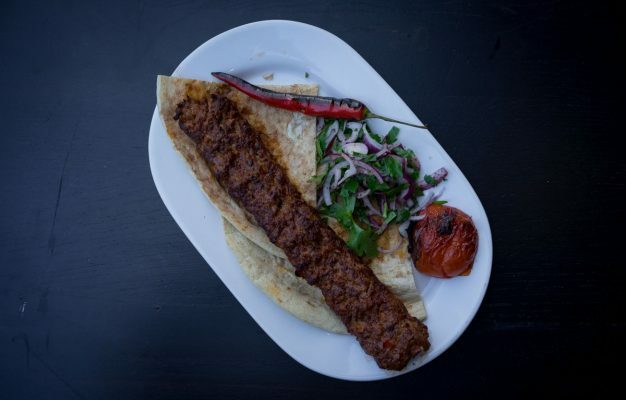 Berlin can proudly boast itself as having a fantastic Turkish food scene that seeks its counterpart in Western Europe, but it’s also true that the level of innovation within Turkish dining in Berlin is equal to zero. 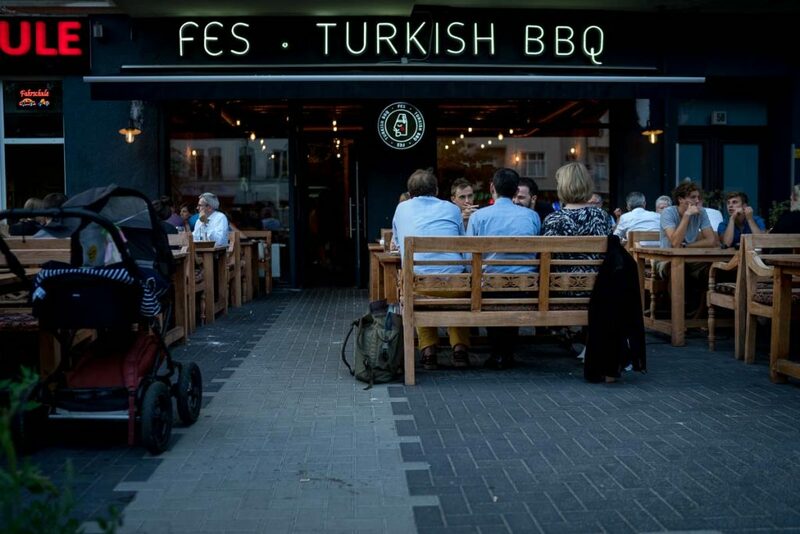 Fes BBQ enters the Berlin food scene as a restaurant that dares to challenge the paradigm of Turkish restaurants in Berlin and Fes does this with a refreshingly innovative concept. Çem Tanriverdi is the man behind Fes BBQ. 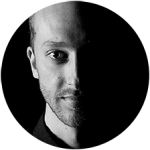 Born in Berlin and of Turkish decent, he started his career as a successful proprietor of a Shisha Café in Kreuzberg. But as the smart man with ambitions that he is, he eventually decided that selling apple tobacco to teens wasn’t the end of the road for him. After some travelling around Asia–where he learned how grilling is often done by the guest around communal tables–he decided to embark on the daring endeavour of opening a modern Turkish grill restaurant with a twist. Located right on Südstern, you can smell your way to the extraordinary grill party at Fes BBQ from a mile away. The restaurant venue itself is rather petite and resembles everything you would expect from a hip eatery in Berlin in 2016 with its dark and moody interior and tables made out of old floor planks. 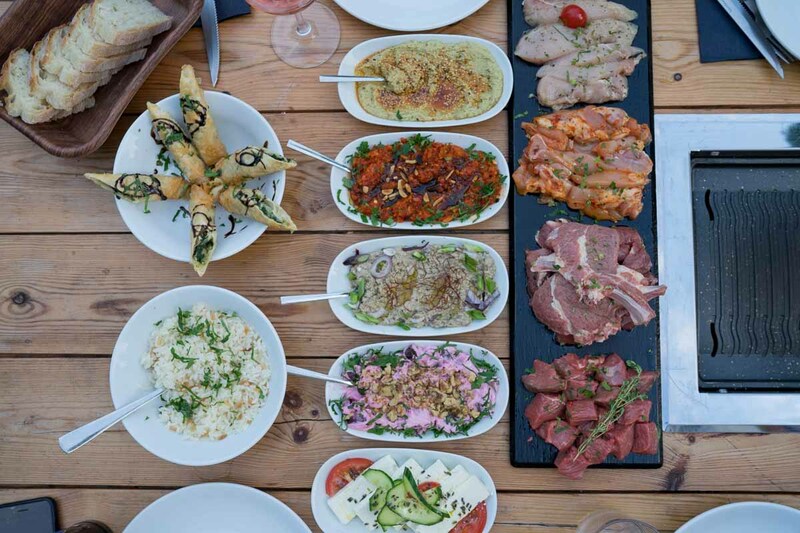 The highlight of Fes BBQ is definitely the outside terrace where several, massive tables offer space for large groups to join around the electric grills that are submerged into the actual tables as the centrepiece of attention. 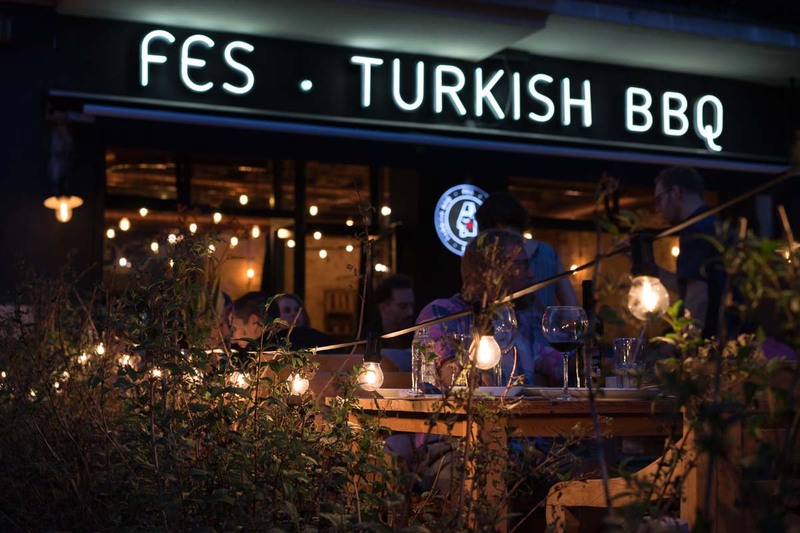 For a Turkish restaurant, the friendly and modern vibe of the Fes BBQ venue is a more than welcome alternative to the classic alternatives where very little thought goes into venue design. 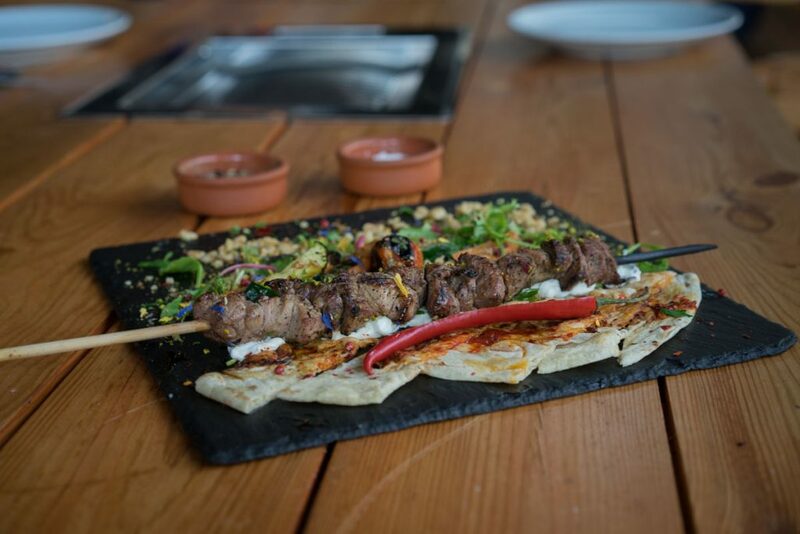 As much as the restaurant concept of Fes BBQ is a fusion between Asian and Turkish grill culture, the flavour and the food at Fes are still very much traditionally Turkish. 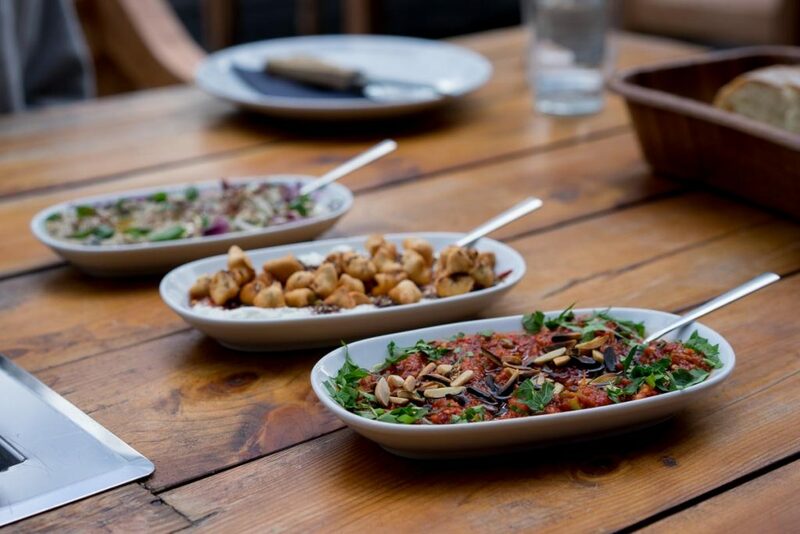 That’s also why a dining experience at Fes is best started with a generous order of the fantastic selection of mezze starters (about 2 per person) that range from hot to warm in fairly small servings. 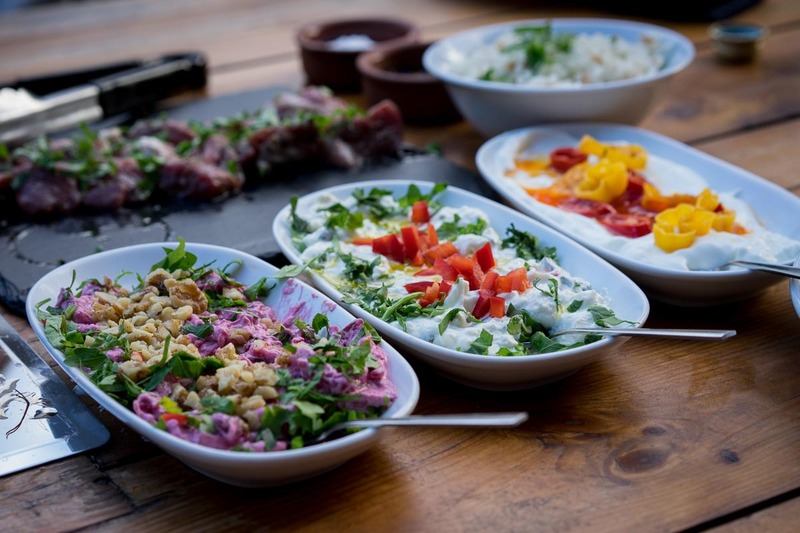 While the mezze are, at their core, traditionally Turkish, like the grilled eggplant cream, spicy Ezme salad (delicious!) or mantti (Turkish ravioli), some of them will have a small, modern twist to them. The manti, for example, are deep fried instead of cooked and the spicy chilli dish is served with Habaneros, things that definitely don’t exist in Turkey. At the end of the day the mezze are merely a teaser for the meat frenzy that eventually will rain down on every guest at Fes. 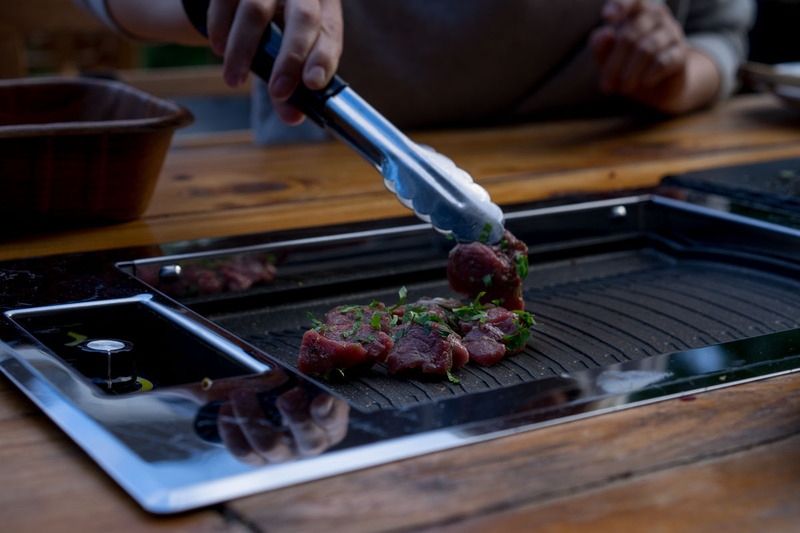 Because once the fantastic mezze pre-party is over, it’s time to fire up your electric table side grill. 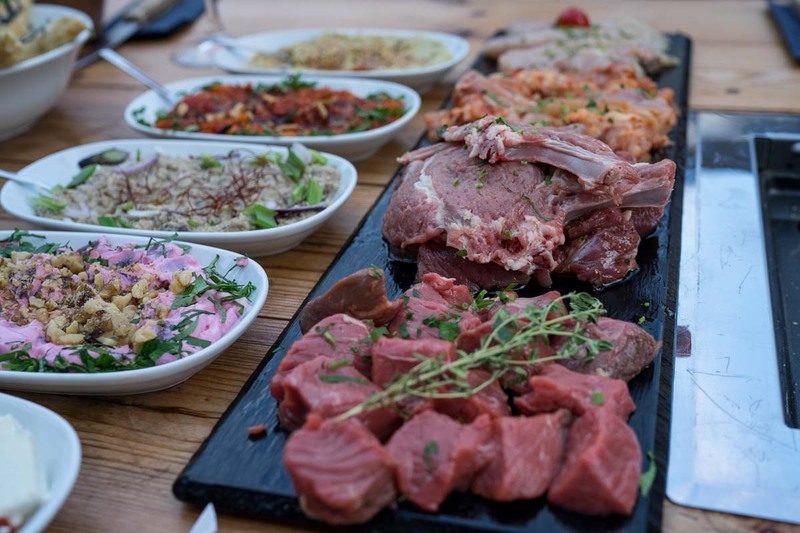 Your choice will be between beef, chicken and lamb and for a first visit I strongly recommend ordering a mixed platter that will allow you to sample all of the cuts. Because they are all great. The marinated chicken things are best grilled to crunchy perfection while the prime beef stripes and the lamb cutlets can be grilled as bloody or well done as you prefer them. The meat at Fes BBQ is not necessarily better than at my favourite charcoal Ocakbasis like Adana and Doyum, but the food is very fresh, light and damn tasty and the fact that you grill the meat yourself table side just makes a fabulous setting for a meal. 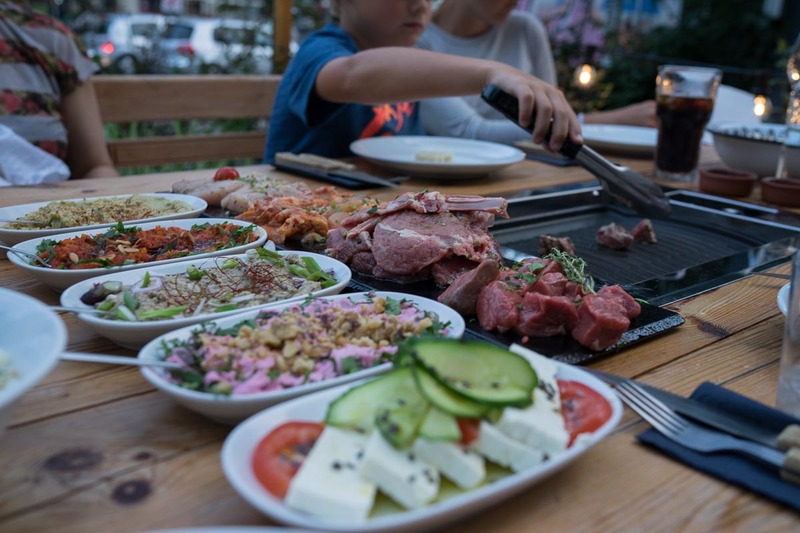 From kids to grandparents, everybody enjoys an interactive meal at Fes BBQ where the table grill master dishes out sizzling pieces of meat around the communal table. 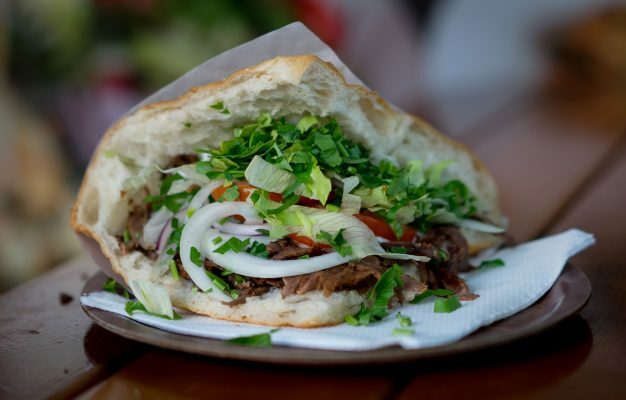 Fes BBQ is one of the most innovative Turkish restaurants Berlin has to offer and the crew proved this with their massively successful shish lamb kebab iteration during the last Kebabistan event. The combination of hip and friendly staff with a fun dinner concept makes this place one of my favourite discoveries in 2016 (original opening was in 2015) and I’m convinced that Fes BBQ will open up Turkish cuisine to many that would otherwise never try it. A final secret tip: Ask owner Cem for a bottle from his unique selection of artisanal Raki and enjoy it with your meal on ice.